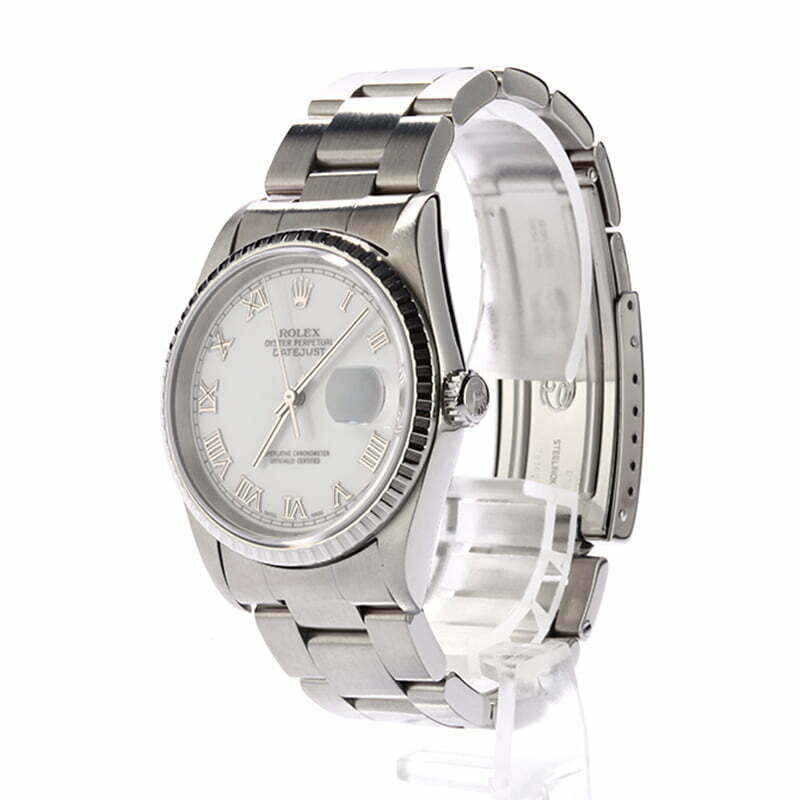 The stainless steel Rolex Oyster Perpetual Datejust 16220 is an excellent introductory purchase. The Oyster case, flat-link bracelet, and engine-turned bezel are presented in an affordable and versatile brushed stainless steel finish. The ref. 16220 also maintains classic Datejust proportions for a bold yet comfortable hold on the wrist via a 36mm case diameter and a supple Oyster bracelet. 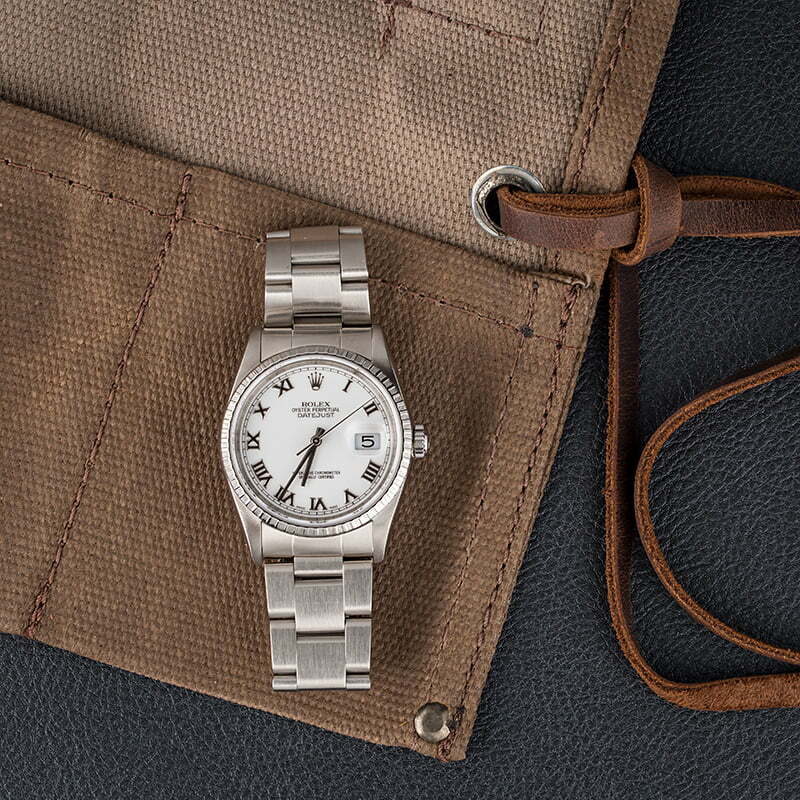 When it debuted over seven decades ago, the Datejust was the first timepiece to offer an automatically changing date display, a feature that is still prominently displayed at the 3-hour marker on the dial. I did a fair amount of research or previously owned Rolexes and this transaction was as promised everything I read was correct! I never wanted to buy a Rolex from a website, but with all the great reviews and a recommendation from my step father, I decided to go for it. Did a wire transfer and received it the next day at 10:30am like lots of other reviewers said stated. Love this watch and is as good if not better than advertised. Thank you. The watch is in excellent condition! 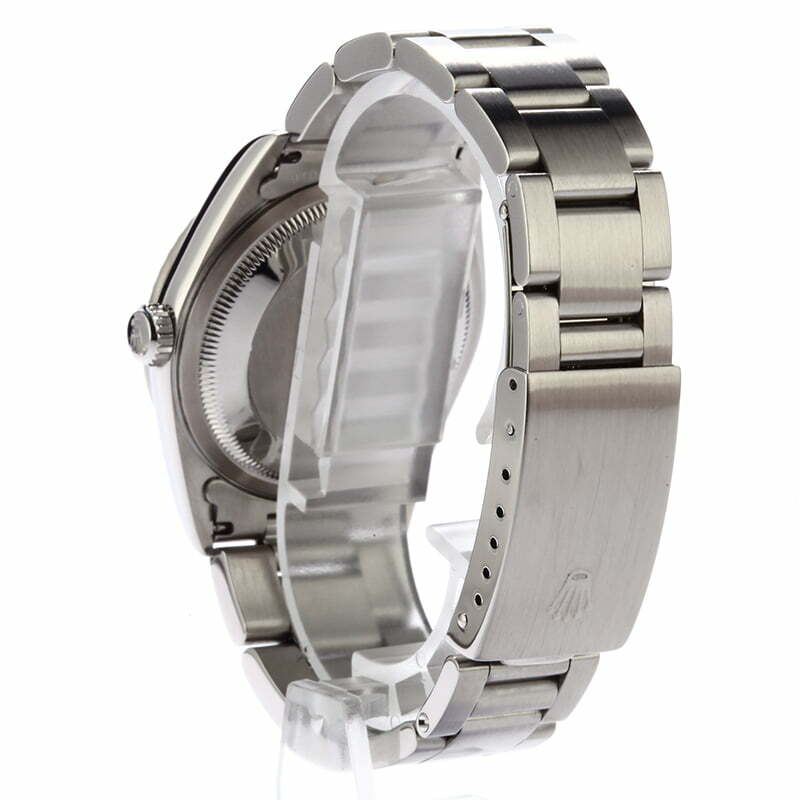 The watch needed a very minor adjustment on the clasp with no removal of links required for a perfect fit. Also very pleased with the "in-house documentation" provided and presentation of the purchased product. I monitored this watch for a couple of days. I looked in detail at each picture and read the details in full. I finally called Bob's and talked to Max. He was extremely patient, descriptive and articulate. I needed the watch delivered by the next day. He walked me through verifying my account through PayPal. My payment was received by Bob's in 1 hour. I received my watch by 10 am next-day. The watch was PERFECT - exactly as described. It looked brand new and performs very well. I am very happy with the purchase. Thank you for being very descriptive and high resolution pictures. 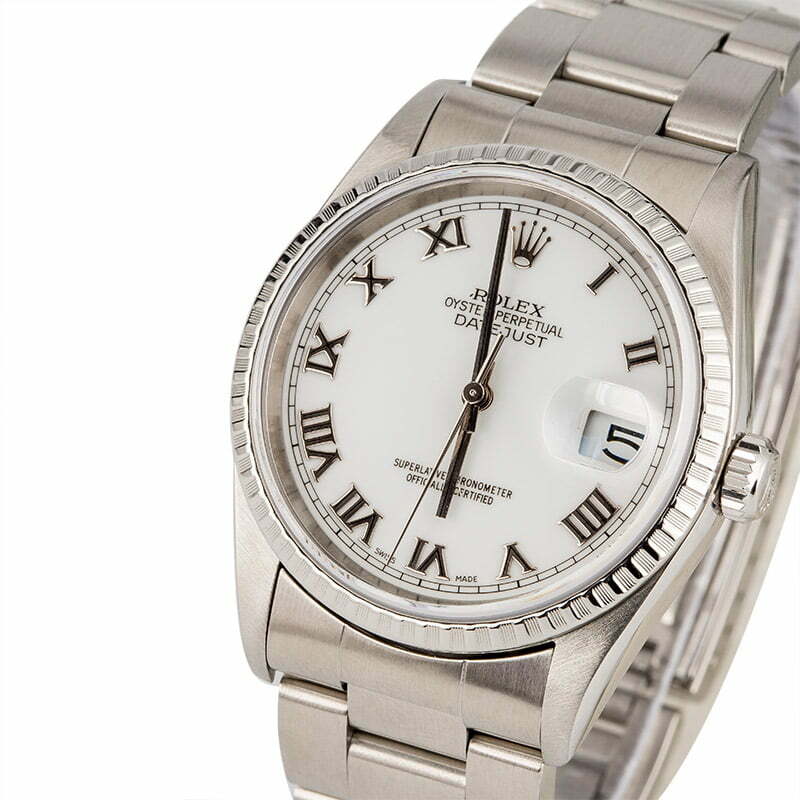 Beautiful Pre-owned Rolex. Excellent condition. This Rolex date just model is one of my favorites. Does the dial have a kind of pale cream hue? could you provide more information?